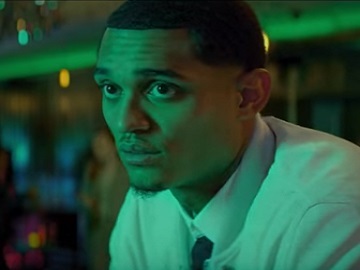 Jordan Clarkson stars in a new Heineken commercial, explaining the meaning of the red star on the Heineken bottle cap. “Did you know the Heineken star is a symbol of quality? The star lets you know it’s world-class,” the Cavs guard, who’s in a club and has just got a Heineken, says at the beginning of the 30-second spot. “We, Filipinos, have three stars on our flag. We got world-class singers, dancers. And you know what else? Pure, natural talent,” he also says, trying then to impress viewers with his ability to “shoot” the cap into a bowl, but failing. “Nice shot, superstar,” the bartender ironically tells him with a hint of a smile on his face. Clarkson, who has recently floated the idea that dinosaurs not only roamed the earth at the same time as human beings, but that humans were three times the size of dinosaurs and kept them as pets, appeared in another ad for the beer brand, highlighting that Heineken is recognized and enjoyed in 192 countries, just like them, Filipinos. When a woman and her friends approach him, he feels proud, but it soon turns out she had no idea who he really was, confusing him with a singer. Heineken enjoyed recognition also in terms of advertising. Its “This One Is On Us” campaign was awarded, in 2017, Excellence Award in the Health & Wellbeing category by the European Brand Association. In addition, Heineken won two Cannes Lions 2017 Awards for the “When you Drive, Never Drink” commercial and the Tiger Air Ink collaboration and Gold, Silver and Bronze at Putra Brand Awards. Among the celebrities that have starred in Heineken campaigns so far are Ronaldinho, rugby stars Jonah Lomu and John Smit, Will Carling, Matt Dawson, Scott Quinnell, Rocky Elsom and Shane Horgan, and Oscar winning-actor Benicio del Toro, who fronted a global advertising campaign launched by the beer brand in 2016 with the slogan “There’s more behind the star.” Jennifer Aniston has also appeared in a Heineken ad with a funny twist, which has been banned.